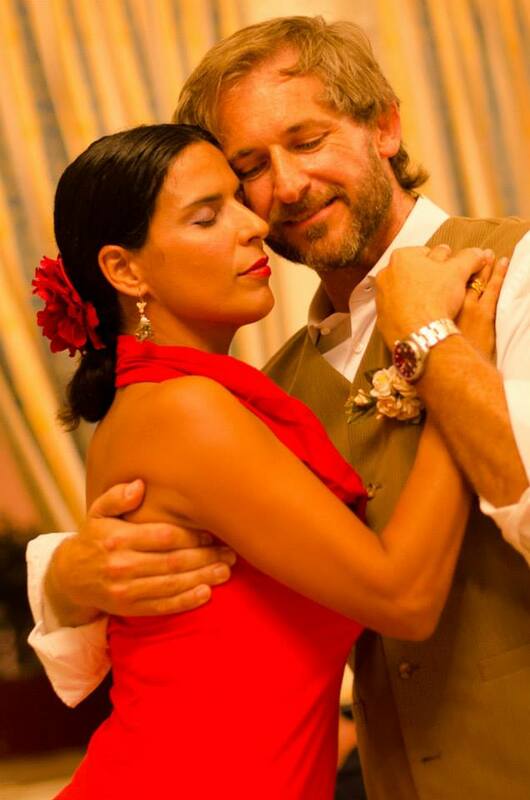 Isla del Tango has been the tango school of choice for those wishing to seriously take up tango lessons, have taster classes, wanted to prepare a special dance for their wedding, provide an alternative social event for their friends and those wanting to have fun! Private / Group Classes: Aldo Calleja (dancing since 1997, teaching since 2003) assisted by Natalie Debono, offer Argentine tango dancing classes to individuals / couples / small groups in the tango de salon style of dancing. Our dancing spaces are either in Qawra or Birkirkara or at a venue of the students choice depending on the convenience of the same student/s. Have a look at what we have prepared for you: Tango Lessons/Workshops DIARY. 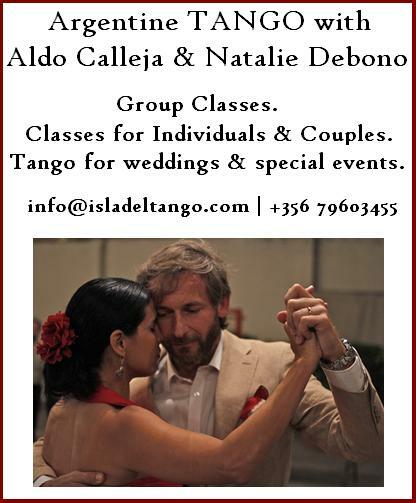 Let us know at your earliest if you require more information & for bookings: info@isladeltango.com or call 79603455. Kindly email info@isladeltango.com or call + 356 79603455 for prices and time slots. I am very interested in learning Tango.Have you got any courses strating shortly and if so how much would it cost? Since I do not have a partner would that be a problem? my daughter (17) and I are coming tomorrow to Malta for 1 week and wish to take some tango lessons (beginner & advanced). We have booked a hotel at Paradise Bay. Where would you advice us to go to have lessons and how much would they cost? Yes!! It was great to have lessons with you and Aldo! He was the best teacher for us with his unique method of teaching..!